Winterbrook Estate Agents - News- Lesters On Hand Whatever The Weather! Lesters On Hand Whatever The Weather! This Didcot family got caught out in the wet whilst out shopping in the half term break. The rain fall in the county has been high than average and you never know when you might need a brolley! 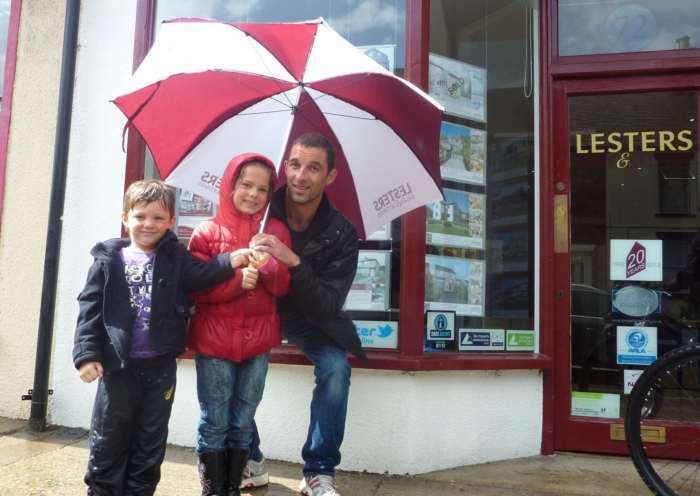 James Gesner partner at the Didcot office came to the rescue during such a downpour handing out Lesters branded brolly! Keep your eye out for them on the High Street!